Are you thinking of buying a house in the country with a well? A lot of people are now getting houses with wells in them. 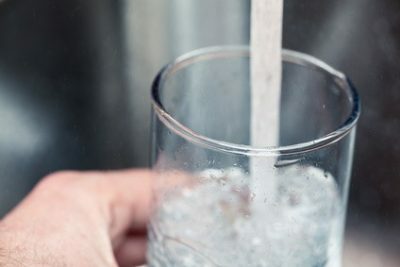 It is common knowledge that well water is purer than water in your sewage lines. Lakes and rivers are the primary sources of water in the city. You must be well aware of the contamination in lakes and rivers, and the amount of chlorine used to make the water pure. The first thing you need to do is put your research gloves on and digging (sorry, we couldn’t resist!) The water in your well is shard water. All the wells in the neighborhood often share the same source of water. Check with them to know if there are any issues with the quality and quantity of the water. You can also contact the EPA or ask your realtor for any known issues. No matter how much you trust your realtor, you need to make sure that the water quality is checked before you purchase the house. Some people skip this step because they think that the previous owners must have found the water satisfactory, that’s why there were using it. But you should always make sure that it’s fit for consumption and usage before deciding on the house. Take a water sample and send it to a lab to get it tested. The standard water check contains reports for turbidity, alkalinity, hardness, and pH. The percentage of chloride, fluoride, copper, manganese, and calcium will also be checked by the lab. Make sure you also get the lab to test for coliform bacteria. Water quality is not the only thing you should focus on. It is essential that you check the water quantity as well. The house you buy should have enough water to fit the needs of all your family, and then some. Get help from a professional to check the flow rate of the water. Also, make sure you remember to ask about the water capacity of the well. The average lifespan of a well is around 35 to 50 years. However, if the well is not properly maintained, it can fail more quickly. Make sure that you ask the age of the well and check the equipment like pressure tank and pump before buying the house. All these things must be checked before you purchase a house with a well. The quality and quantity of well water should not be compromised. Only when you are satisfied with all the answers should you make the sale final. 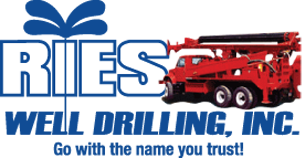 For more tips on owning a water well, give Ries Well Drilling, Inc a call today at (586) 784-9516!